Jolada Roti is a Popular flat bread Recipe in Northern Karntaka Region. 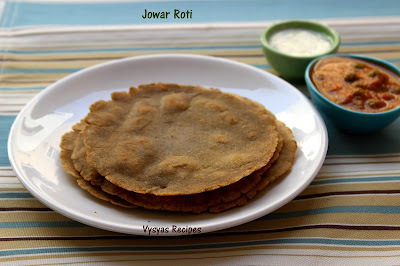 Jowar Roti is a Healthy Breakfast Recipe, made with Sorghum flour. Sorghum is gluten free and also it offers, strength to bones and keep teeth healthy by giving them energy.Some of the health benefits of sorghum include its ability to prevent certain types of cancer, help control diabetes, improve digestive health, build strong bones, promotes RBC development, and boost energy and fuel production. Sorghum Flour/Jowar Flour - 1 cup. water - 1 + 1/4 cup. Heat the water in a pan. When it starts boiling add, 1 tsp of oil, Jowar flour and needed salt. Mix well, till the water is absorbed. Then switch off the flame. After few minutes, when flour is warm, knead well into a smooth pliable dough. it takes nearly 3 - 4 minutes to make a dough.Now dough is Ready. 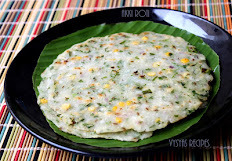 Take a plastic cover or banana leaf, grease with oil, take big lemon sized dough and spread it into Roti's as thin you can,in between wet your hands in bowl of water. yield : 5 - 6 . Jowar Flour/ Sorghum flour - 1 cup. water - As needed, to knead. oil or Ghee - to fry the Roti's or applying on it. Take a wide vessel, add jowar flour & salt. Add water little by little & knead well to make a smooth dough. 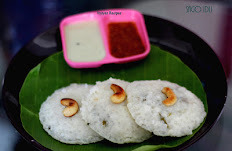 Take a ziploc paper or plastic sheet or banana leaf, grease with oil, place each ball over it. 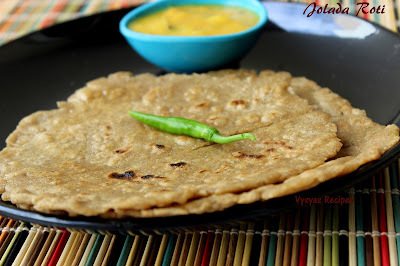 Spread into thin circular roti's,spread as thin you can. Heat the tawa or skillet, when it is hot ,Gently transfer it from ziploc paper to tawa. 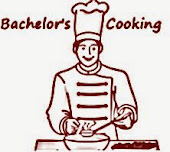 cook on both sides till you get Golden spots. Then smear some Ghee or oil over the roti's. 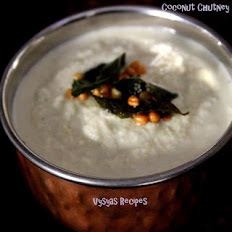 Remove from tawa & serve hot or warm. 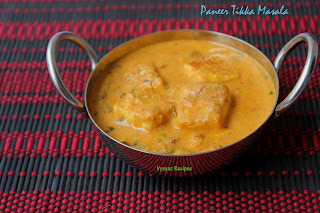 It goes well with Badanekayi ennegayi palya,Gutti Vankaya kura,Moong dal Tadka,Andhra Pappu & Bombay chutney. if you feel dough is sticky add some flour, else if you feel the dough is dry add some water. Always serve the Roti's hot. you can add cumin seeds, while making dough.